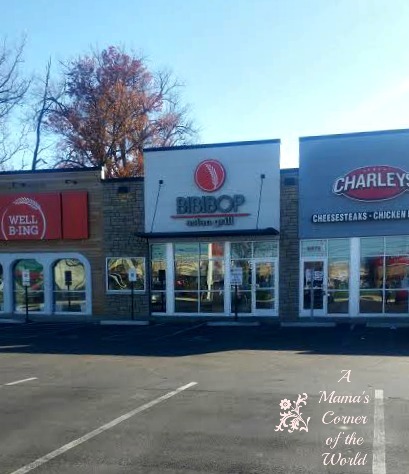 Central Ohio--especially the Columbus area--has seen Bibibop chain restaurant locations popping up left and right recently. I also noticed that the Columbus based chain has expanded to Cincinnati and is planning a spot in Cleveland as well. We have had a Bibibop just down the street for months (and months!) --and we only finally made it in for a visit...which has led to subsequent visits! Why review a "chain" restaurant? Because--I have (too often) been traveling as a family in regions of the U.S. with popular "local" chains--but, we didn't stop at them because they weren't familiar to us. Those chains may only have 5 or 6 locations in a region--so--really--many (many) people visiting those areas have never heard of the brand except the locals. 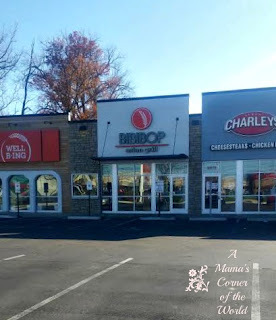 What is our family's review of Bibibop Asian Grill on Broad Street in East Columbus near Blacklick/Reynoldsburg? 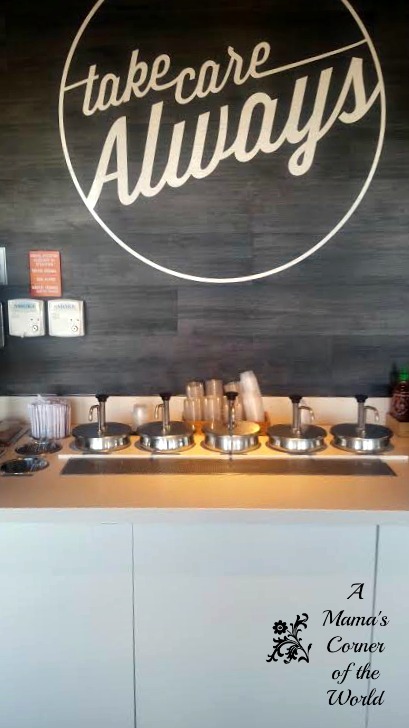 What is Bibibop Asian Grill? This restaurant is essentially a healthier, Asian "fast food" stop than your local Chinese takeout--offering a Subway/Chipotle-like dining experience with Korean themed food. Guests choose an entree style (a bowl with either purple or white rice, a green salad or a tortilla-wrap roll). Then--they have the option of choosing a base to build upon their entree choice (bean sprouts, potatoes or black beans). Next--there are proteins offered (chicken, spicy chicken, steak or tofu). 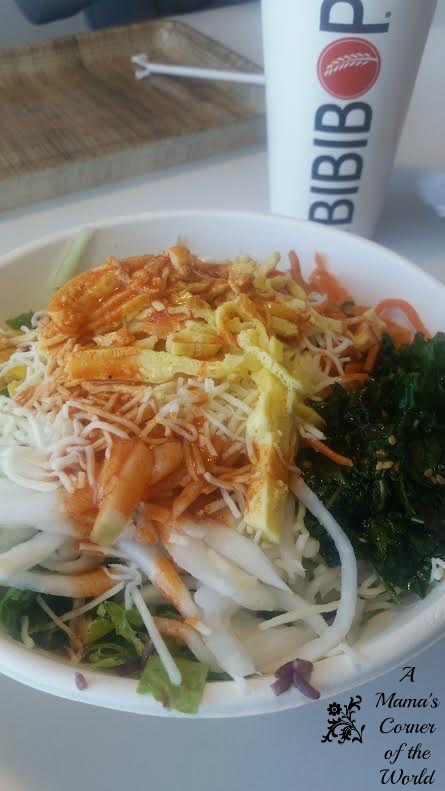 Then, there are toppings (cucumbers, corn, egg, lettuce, carrots, kale, daikon, and cheese at our Bibibop). Next--there are sauces. (Yum-Yum, Spicy Sriracha, Red Korean, & Teriyaki.) If you opt to skip the sauce-pour over your selection at the counter--which I would probably recommend for the kids or for adults who just aren't sure how the flavors of their food will mix. That's okay. It's also okay if you know that you will need more sauce (like I do..with my Yum Yum addiction)--you can get some small cups of the same sauces as the counter offerings off to the side of the ordering counter near the drinks. They just won't be launched onto your entire meal. Just in case. Bibibop on East Broad Street is Always Busy. The restaurant moved into an old Turkey Hill gas station--so there is a fairly large parking lot and a surprisingly large dining area. We have been there when it's pretty full--with a line to the door--but, still found seats for even a larger party of 10. I have never been there when there wasn't at least a slight line for ordering--but, the wait is always short and the staff is very efficient and friendly. And--a lot of the diners in line order takeout--so never assume that your seating options will be limited after your order. What did we think of the food at Bibibop? 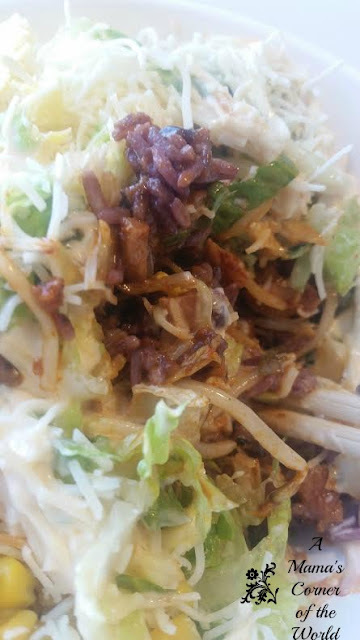 My husband always seems to order the purple rice, the bean sprouts, the spicy chicken--and all of the toppings. All of them. The kale is probably his favorite topping--but, I really think he loves Bibibop for the Green Tea. I think he would probably go there just for the tea. He ordered the Spicy Sriracha sauce at the counter--then added more from the "ala carte" area. His bowl looked healthier than mine with those kale greens and all of those veggies! I Love Yum Yum Sauce and Purple Rice Bowls..
Purple rice seems to have this fragrant, lavender like existence that I adore. It's not as "sticky" as white rice--and it really does seem to add another layer of flavor to the bowls at Bibibop. I always order bean sprouts and spicy chicken (the chicken isn't too spicy and the bite sized pieces are always well cooked and tender). Then I top my bowl with cucumbers, eggs, lettuce, cheese and Yum Yum sauce. I love Yum Yum sauce with Bibibop spicy chicken. Maybe I just love Yum Yum sauce...but, really--it's a great sweet and spicy balance to the bowl. I didn't take pictures of the girls' bowls. They bowls were pretty plain--and weren't really very "photogenic"..nor different in appearance. One daughter typically orders a bowl with white rice, potato, chicken, and cheese. No veggies. No sauce. Nada. She loves it--and it feeds her 13-year old cross country runner/dancer body for two meals. So--she requests a lid for her bowl when she orders. The second daughter orders a bowl with white rice, spicy chicken, potatoes, lettuce, cucumbers, and sometimes carrots. She skips the sauce-pour and selects an assortment of sauces from the "sauce bar". She opts to dip bites of her bowl into different sauces. I think she prefers the Spicy Sriracha. She, also, requests a lid for her bowl and takes it to-go for a second meal--usually choosing her favorite sauce of the day to pour over her leftovers before she leaves! Would I recommend Bibibop Asian Grill in East Columbus/Blacklick? This meal is light and delicious. Every time. We spend about $35 for our family of four to eat adult-sized meals inside with fountain drinks. I would much rather spend that amount for a lighter, healthier meal than $30 for our usual, deep fried, take-out Chinese restaurant favorite meals. The kids love it. They can pick and choose and have a little control over their lunch or dinner-and I can know that they may both actually slip some vegetables, healthy proteins, and lowfat choices into their meals! The kids always take home half of their meals--I probably should too because I am beyond stuffed after lunch or dinner! Chris (the husband) and I use chopsticks--which is also fun for the kids to watch and try to imitate--we slow everything down, dine in and enjoy a not-so-fast, "fast food" meal. If you enjoy rice/protein/veggie/Korean style meals--Bibibop has a wonderful design and layout to please a variety of diners with a reasonable, family-friendly price range for the amount of food served. And. Sigh. Give in and buy the Pocky sticks at the counter for dessert. Chocolate. They seem to be everywhere in Columbus--and branching out in Ohio! But, we have enjoyed--(and realize that not all chain locations are always created "equally")--so we wanted to share our praise! Disclosure: We were not compensated for our review--we just wanted to share our experiences with a restaurant that we frequent and enjoy!